We live the expat or a more trendy term that I like to use, we are “global nomads”. Our heart is divided into hundreds of pieces throughout the world. We travel to and fro from our two homes (home is where the heart is, right) in the U.S. and in South America. The fact that my kids have traveled more than I ever did hit me when I realized how often my kids play “the airplane game.” They grab our suitcases. Pack their bags. Fight about who’s the pilot. Our couch turns into an airplane and they travel the world. My son’s favorite place to travel in his pretend play was Djibouti, located in the Horn of Africa. He loved going there because he said it like this: “Jou Booty.” Need I say more? When looking for traveling tips and tricks for your family, make sure you take into account your kids’ personalities, behaviors, and ages. For example, I have never used Benadryl on my kids to knock them out on the plane ride, but I know lots of parents who have, and some who said it actually made them hyper instead of calming them down. My tips are pretty generic (and don’t involve medicating them, hee, hee). Because traveling with kids can be stressful — be prepared! 1. Arrive early. I am the queen of cutting it close for flights, but once I had children, I realized that rushing through the airport with crying kids wasn’t going to work. 2. Breaks are important. If you’re traveling with another adult, give each other breaks. Give each other a specific time so you don’t miss your flight, for example, “Why don’t you take 15 minutes before we board the plane? If you’re not traveling with another adult bring a movie and use it only for the specific purpose of giving yourself a break that way when you do want to use it as a break they’re not tired out of screen time. 3. Don’t lose another sippy cup. Take empty water bottles and fill them up with water after you reach the check point area. 4. Take a walk. Use the shuttles or trains at the airports. When we have long layovers we ride the shuttles TONS of times to keep the kids active and busy. Helps them get their wiggles and energy out before they board the plane. 5. Kid-Friendly airports- If possible before taking your trip find out about the airport where you’ll have a long layover. Here’s a list of kid friendly airports on Family Vacation Critics for you to checkout. Or when you arrive at the airport ask the information desk. 6. Plan your flights around your kids. When we lived in TX and flew to visit family in GA for the holidays it was important for me to find flights that would not have us starting the trip on the wrong foot–with exhausted kids. For me it was worth spending a couple of extra bucks to find flights that weren’t during their naps, really early or late at night times. 7. Ziploc bags for packing! Pack your kids clothes individually in ziplock bags according to days. So one day will have socks, underwear, pants and a shirt. That way they just pull out one bag and not dump the whole suitcase out looking for a new clean pair of undies. 9. Carry extra clothing in your handbag or carry on. We once had one of our boys spill juice all over himself while on the plane. Believe me I was wishing I had packed an extra pair of clothing. 10. Snacks that aren’t high in sugar. Pack trail mix and sprinkle in some chocolate chips. Good traveling food: oranges, carrots, grapes, granola bars, fruit snacks, milk or juice boxes (which I don’t think they will make it past checkpoint so don’t pack too many of those). 11. Surprise bags and other toys- For our long trips I wrap little $1 toys for the kids and hand them one, every 30 – 45 minutes. It’s nothing fancy but it keeps them entertained. I like to also pack recycled games that can get lost and no one cries about. Here’s one I made for our Galapagos Islands trip, it did eventually get lost but it was fine, since it cost me nothing to make it. Or this one Traveling Barnyard & Animals, also made from recycled items. 12. Give them their own bag to pack. Let them pack their own little carry on with toys, books and treats. 13. Rags, hand towels or kitchen towels are a must have. I always carry a rag, wipes and anti-bacterial soap when traveling. I’ve yet to come home with an unused rag, they come in handy. 14. Download some relaxing music to listen to either during your flight or when you’re waiting for your flight. This will help you unwind a tad bit and relax some so you’re ready to tackle on the rest of your flight and your wiggle worm children. And most of all pack your patience and sense of humor. Yes, that is my toddler rolling his car all over my hubby’s face. It was the longest flight ever, my son was whining and crying but apparently this calmed him down. We have absolutely no control of inclement weather, delayed flights… so learn to laugh and take lots of little breaks. As I mentioned we travel a lot and in all of the years we’ve been traveling at all hours of the day and night, I’ve seen parents do some pretty mean things. I’m sure on a normal day they weren’t mean parents but flying with kids can be stressful especially if there are delays or changes in your schedule. 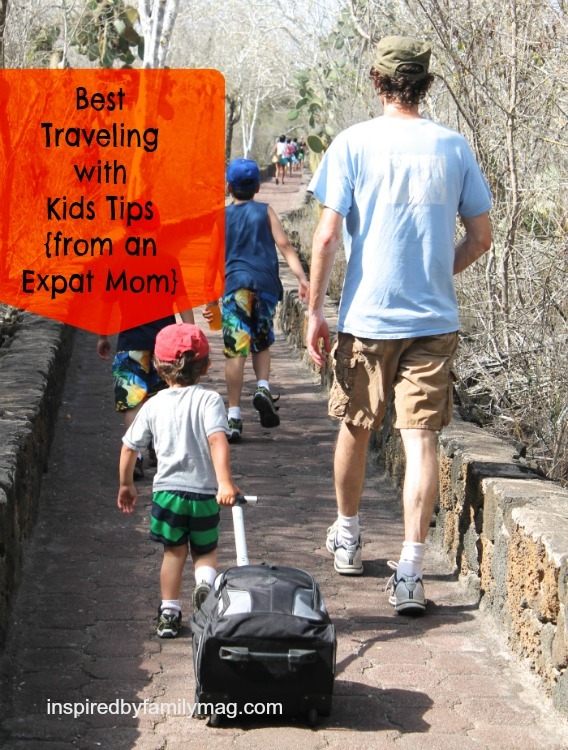 Don’t worry I’m not judging anyone, these stressful moments haven’t gotten to the best of us, so hopefully this list will help you be prepared for traveling with your kids.